'Well sir, you see, it's like this...I got an old barn out back. It's been there a long time, it's withstood a lot of weather, it's gone through a lot of storms, and it's stood for many years. It's still standing. But one day I noticed it was leaning to one side a bit. So I went and got some pine poles and propped it up on its leaning side so it wouldn't fall. Then I got to thinking about that and how much I was like that old barn. I've been around a long time. I've withstood a lot of life's storms. I've withstood a lot of bad weather in life, I've withstood a lot of hard times, and I'm still standing too. 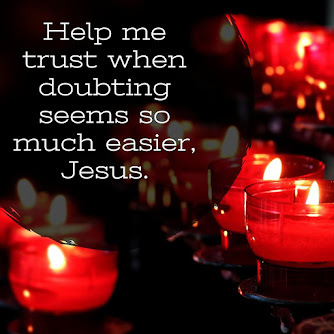 But I find myself leaning to one side from time to time, so I like to ask the Lord to prop us up on our leaning side, cause I figure a lot of us get to leaning, at times. Sometime we get to leaning toward anger, leaning toward bitterness, leaning toward hatred, leaning toward cussing, leaning toward a lot of things that we shouldn't. So we need to pray, 'Lord, prop us up on our leaning side, so we will stand straight and tall again, to glorify the Lord. May I Ask: What side are you leaning toward that needs to change? May I Suggest: It isn't a long prayer and it isn't complicated but take a moment, point to the leaning side and then ask God to prop you up. And while you're at it, pray for a friend who may need some propping up too! We all need to take some time off. Since I was on vacation last week, it seemed good to be on vacation from blogging too. We had a great time as a family up in the mountains. We got to enjoy some great skiing at Cataloochee with my kids and my folks. Real recreation is re-creation, a chance to be made new. I have not always found that an easy thing to do but this past week I really feel like I'm a little bit new again. Part of that was not blogging or dealing with working and instead, focusing entirely on investing in my most important relationships. I also begin reading Martin E. Marty's book, The Lord's Supper. I've never read any works from Dr. Marty but I've seen his work referenced other places. 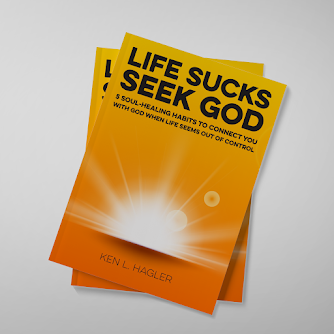 It is a very personal book and one which has in many ways, helped me to "stay on target" as I return from vacation and preparations continue for the launch of Crossroads UMC. My observation of "church planting culture" reflects a similar thought, one dealing with how great a church planter or leader one is rather than how great God is. And maybe it is a larger part of church in general and goodness knows, it is part of all the business leadership books which exist. May I Ask: When was the last time you made time for recreation? What did you do that helped you become new again? May I Suggest: Set aside time in the next 30 days to recreate, something that will lift you beyond "me-ness." 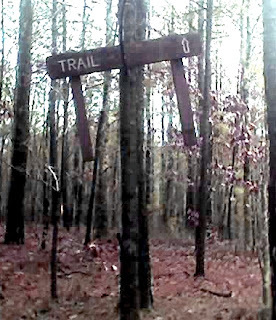 If it has been a while since you traveled out Harmony Grove Church Rd. up here around the crossroads, you've missed a few changes. 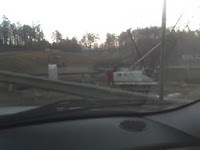 The first and foremost is the clearing of the land around the one lane bridge as the Paulding DOT prepares to build our new two lane bridge. Our county continues to work hard to meet the growing demands of our growing population. What is more, new networks are forming with groups like the Crossroads Business Association and other groups to help "build bridges." Incredible resourcing is available when people begin working together. Did you know that Dane Ellison of Southern Star Business Advisors is in our community? I didn't either until he spoke at last months CBA meeting and provided us with some great insight. H/T to Rick at the H.O.M.E. Store at Seven Hills. Building bridges is important to our church as well. Consider how much teachers do for our kids and in return, our families. 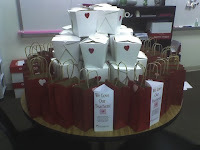 That is why the launch team at Crossroads UMC got together and did our Love Our Teachers! Project on Valentines Day. 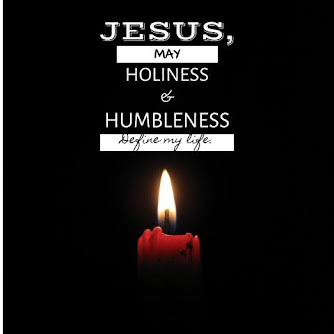 May I Ask: Are you intentional about being salt and light? What have you have found helpful in building bridges? May I Suggest: Start with simple things, join the local Chamber of Commerce or get some gifts for teachers. What ideas do you have? Share them here! A long, long time ago, people were thinking Star Wars was done but fear not (fear is of the Dark Side anyway) Star Wars: The Clone Wars is set to open Aug. 15, with all the familiar characters from the prequel trilogy and one big difference: The saga is computer-animated. Check out the teaser trailer. BUT that isn't all! George Lucas is also giving us lovers of adventure a Valentine gift! 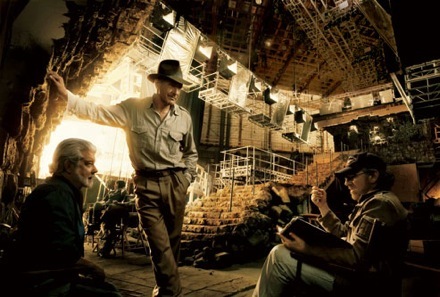 The teaser trailer forIndiana Jones and the Kingdom of the Crystal Skull will be previewed exclusively on ABC’s “Good Morning America” on February 14th between 8:00 and 9:00 a.m. Then it will be posted online. ...In a mix up of e-mails, I sent an announcement to a gmail account in Australia! Turns out, it was from a Christian and their prayer group is now joining the prayer team for Crossroads UMC! Coincidence? I think not. ...Den 9 finished filming our movie last night! Sometimes things get out of whack but spending time with these guys reminds me how important it is for men to get out and mentor boys. ...Thanks again to Jason and Josh Ingham for making the movie with us and teaching us more about maps and compass. I am so proud of these guys and all our military men and women who give in many ways. Please remember to pray for them. ...I'm really getting excited about my sermon at Due West this week especially since I'm preaching all services! I'll be posting later about some of my thoughts and ideas. May I Suggest: Get creative with who you give to and what you give. Pick a charity and give in honor of someone or provide a surprise to your office staff. 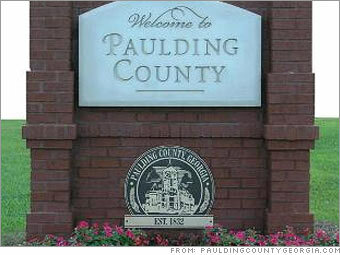 CNN ranked Paulding County as #20 in the Best Places to Live in the US. The main reasons given were job growth between 2000-2006 @ 37.7%, an economic development plan headlined by the $45 million airport construction project, and the U.S. Department of Commerce's Excellence for Economic Development award. You can find out more here at the CNN Money page. That is number 20 out of 3,141 counties and county equivalents in the 50 States and the District of Columbia. Wondering who the quiz pointed me too? Keep wondering and read my post from yesterday. What's a Methodist To Do About Politics? Super Tuesday has now come and gone and Georgia has had it's say until the election. I know there are countless blogs reflecting every aspect of the process. As my life took the turn into the pulpit, I've been amazed how much people want to know about my stands on candidates. It really hasn't been a struggle for me. I've been fairly upfront that I don't endorse candidates and who I vote for isn't really anyone else's concern. That isn't the take for other pastors and that is certainly fine for them. However, don't take that to mean I don't care or I'm not concerned. Unlike Some of his modern mainline Protestant successors, who advocate a stale 20th century Social Gospel, Asbury had little direct interest in politics, despite living during some of history most revolutionary times. "Methodist preachers politicians! What a curse!" he once remarked. Even if the church itself did not become politically active, Methodist individuals became renowned for their reforming zeal. But their main focus was always on the Gospel. The hope of the world is not going to be found in politics but in Christians living out the Gospel Jesus spoke of. That is what I think Asbury modeled and where I stand, a Social Gospel with the emphasis on the Gospel. 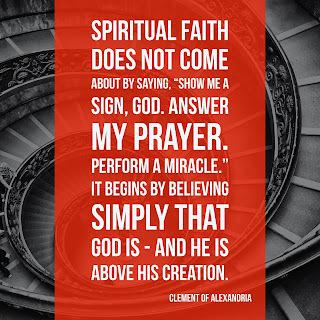 May I Ask: Have you found it possible to separate you faith and your politics as some claim? May I Suggest: Think about or research someone who you think represents your thoughts on faith and politics. Share it here! 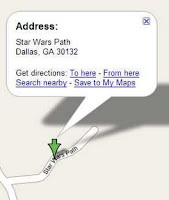 ...Hat tip to my friend Evan Reynolds who discovered the road, Star Wars Path, really exists. It is right down the road from where I live so I need to get a pic. ...but Neil Bortz is right on this account today. We are so enamored with the Super Bowl but the competition for the presidency is a much more important event. The Super Bowl won't change your life - unless you bet on the Patriots, it won't - but who the next president is certainly will. Get out and vote! ...My daughter has strep throat. It is going around along with everything else under the sun - be sure to wash your hands and cough and sneeze into your sleeve. BTW, did you know there are more germs on the handles of shopping carts than any where else? Ewwww! ...Last night our Cub Scout Den began filming our movie and learning map and compass skills. We had brothers and sisters everywhere as well. Den 9 rocks! I love being a scout leader. ...Wednesday is Ash Wednesday. If you've never been to an Ash Wednesday service, I'd encourage you to make plans to be at Due West. ...Informational Lunch for Crossroads UMC is this Sunday after 11am worship!!!! ...I love my family! I am so blessed. ...Finally, the community of Paulding County is mourning this week after the loss of six prominent leaders in our community. Please remember to lift up their families. I thought I would find it in the closet. I looked under the bed. When I got a little bigger, I even checked the attic. To this day, I’m not sure where my parents found to hide the packages and presents for birthdays and Christmas. I do remember the Christmas I peeked in one of the packages though. Funny thing was, my sister did the same thing. I didn’t find out about it until our parents informed us THEY KNEW we had gone peeking in the package. Do you know what I discovered that Christmas? That Christmas was a little less special. Not because of the threatened punishment from my parents. Not so much the breaking of family trust. What I discovered was I had lost the hope – I’d seen what was in the package. Not all of them but just one – and that was enough – the hope of Christmas was gone that year. It wasn’t enough to just see and know I had presents – I just wanted to go one step further. What is real, genuine hope? In the Bible, hope is connected to faith and love. No verse does a better job of pointing to that than 1 Corinthians 13:13 NASB: that says: "faith, hope, love, abide these three; but the greatest of these is love." It is natural for children to trust their parents, even though parents sometimes fail to keep their promises. God, the Father, however, never makes promises he won’t keep. Our salvation, our connection to God, Paul says, is grounded in hope. Can you feel it? No. Touch it? No. Taste it? No. But it is there. It is like the present – you can see it is there but you can’t peek inside. Why? It isn’t hope anymore. It isn’t faith and trust to know it all. What is in store, is God in the flesh. God moved next door, He came here to be with us. Jesus comes to us and we see more of God, the image clears up a bit more. 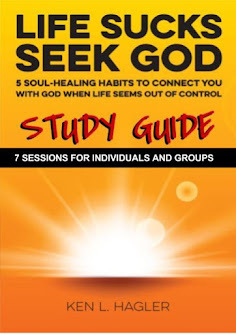 Jesus came to us healing the sick, casting out demons, raising the dead and restoring hope to people. But…for some that wasn’t enough. Hints about the Kingdom wouldn’t do. Jesus even said he was the image of God in the flesh and still, that was not sufficient. Seeing the package didn’t fit their thinking, they wanted to be able to peek. But God, the loving Father, the Parent who doesn’t fail to keep promises, nurtures in us hope. It is hope we draw on when we are close to Jesus – when we are in relationship to Jesus, nothing can separate us from God. Those creeds reminded them of the simple truths of God's faithfulness and love. They gave a reason to hope. Hope is to anticipate with Expectation and Confidence. God has been active in the past as the writing in the Bible tell us. God has kept his promise of salvation in sending Jesus and the gift of the Spirit in our lives. In the past and the present, we have hints of what is to come. 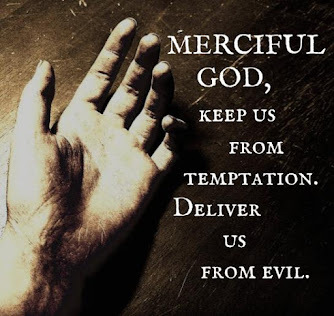 So as we live close Jesus, as we live our faith in worship and times of personal prayer, in our giving of our selves in service and in our wealth, as we live in faith in Jesus as God’s Son and our savior, we have hope. Growing up, I saw that image seemed to be everything. People judged others on what they could do, how they dressed, what they had and what they knew. I came to realize I just could not measure up with what the world demanded. I grew angry without hope for my future. But a couple of leaders who were in my Scout troop and who volunteered at church, accepted me for who I was. Their actions showed me grace, that God saw me differently. 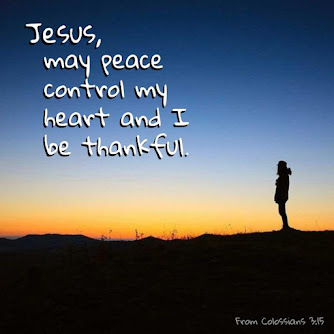 I chose to follow Jesus and began living with peace, hope and a future. Because of that hope, I’ve trusted God with my family and my life. I have hope that God will care for us in the start of this new church. The tighter we get with Jesus, the greater the hope. There is no need to peek when you know the character of the gift giver. May I Ask: What time or times can you point to where you've experienced God's presence and seen what appears to be His work? May I Suggest: Plan in the next week to be present in a worship service, to pray for a moment each day, to serve someone or make a donation. Be an instrument of hope. Pick up a copy of Victor Frankl's book, "Man's Search for Meaning." You can read excerpts here. I'm hanging up my Palm Pilot. Oh, it is staying with me as it is full of my contacts and some cool programs, but the calendar and to-do list...forget about it. I've learned my lesson in recent days I'm not reaching my goals. So I'm going back to the FranklinCovey Weekly Planner that served me so well in my years as a youth pastor. It was great to be able to pick it up at my local Target in Acworth. It just fits me better. Not just for organizing my schedule but for giving me a place to reflect on what really does matter most. I've found my spiritual journey benefits greatly from time of reflection on my use of time. Part of that comes from some of the blogs I read on a regular basis. Here are some of the blogs which have helped me most recently. This great pipe has helped me find other blogs which challenge my thinking in practical ways. It also has just plane fun stuff to check out too. This is one of the sites that LifeRemix All pointed me too. There are great tips, many of which are so simple you feel like a dumb little man after you read them. Scott Ginsberg's blog keeps me on my toes regarding the most practical aspects of networking and relationships. Guy Kawasaki is standard reading for start-ups. He is respected through out the world and having my recommendation doesn't mean much to him. However, his insight has helped me in many ways. May I Ask: What warning did you get that you have benefited from the most recently? May I Suggest: Post some of the blogs you find most helpful in supplying warnings.